Sometimes we go to faraway places. 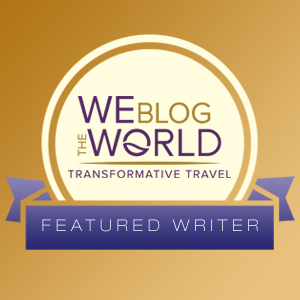 Part of the fun of traveling is to learn about new cultures and people. Learning a bit about the language, customs and peculiarities of a country adds to your understanding and appreciation. For the last five weeks we’ve combed the North & South Islands of New Zealand, and have come to love the country, its natural bounty, and, yes, those quirky New Zealanders. Except…they’re not called “New Zealanders,” but “Kiwis.” And this is where learning the ins and outs of New Zealand (also known as “En Zed” for “NZ”) becomes a challenge. which was invented by an Australian who chose the kiwi (with a small “k”) bird as the name and logo of the polish to honor his New Zealand-born wife who was, of course, a Kiwi with a capital “K”. But to return to the heart of our discoveries, Kiwis have a great sense of humor as well as practicality which result in surprising discoveries along the way — as well as colorful “Kiwi speak.” Such as finding a picture of Dino the Flintstones’ pet dinosaur displayed in an exhibit on earthquake monitoring in the Auckland Museum. No one knows the identity of the prankster who left “Dino” next to the earthquake monitoring device & webcam. Schoolchildren all over New Zealand have enjoyed Dino’s own website which “reports” on geothermal activity at his new home on White Island. The scientists found this amusing enough to leave Dino there and have used film footage from the web cam — and Dino — in educating school children about earthquake monitoring and geothermal activity. New Zealand’s world champion All Blacks performing their haka or Maori war dance before each game. As in war, this particular haka is supposed to terrify and immobilize their opponents. Dargaville won the bragging rights for this title. 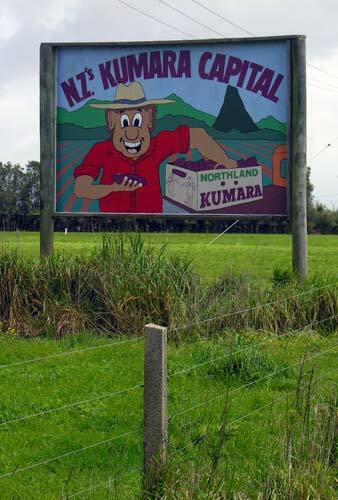 Close to a dozen varieties of kumara are grown in the area; most varieties were developed in NZ. Not to be outdone by such namby pamby fellow Kiwis, A.J. Hackett popularized the modern form of bungy jumping by performing the first bungy jump of the Auckland Harbor bridge in 1986. (A centuries-earlier form of bungy jumping had been a ceremonial activity among Vanuatu men. However, in that tradition, the men had to strike the ground with their heads; he who lived, won. Hackett must have realized smacking clients’ heads on the ground from 100 meters up wasn’t good for his insurance premiums, because that pulverizing form of bungy jumping is OUT. However, you can, if bungeeing off a great height over water, can opt to get dunked during the jump.) Regardless of how it’s currently done, bungy jumping is now a national past time in New Zealand, with intrepid souls leaping off all kinds of towering edifices, from the Sky Tower in Auckland and just about any bridge, building or ledge high enough to give one a thrill. Bungy jumping off a mountain in Queenstown. Entrance to the public toilets in Kawakawa. The Austrian artist and environmental activist Friedenreich Hundertwasser, who relocated to NZ after WWII, decorated his adoptive town’s toilet facilities using recycled materials. Kawakawa now attracts a huge number of visitors just because of their colorful public (and free) toilet facilities. This colorful, larger than life kiwi greets motorists entering the small town of Otorohanga, and serves as an advert for the Kiwi House, a wildlife preserve featuring native birds including the kiwi. The Silo Hotel in Little River, near Christchurch, South Island. Note the little balconies added to the sides of the silos and the bicycle motif. 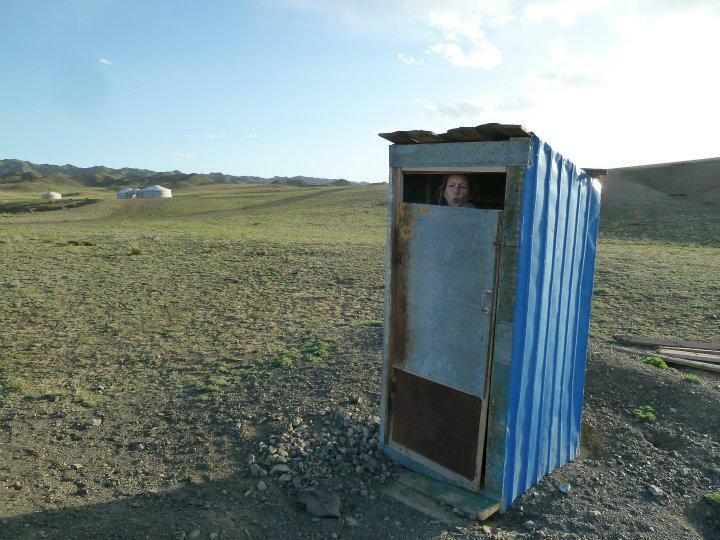 the long drop — outhouse. Speaks for itself. flash — fancy, splashy, and not in an approving way. a butty — a sausage roll, that delicious, irresistible, greasy sausage in pastry with cardiac-arresting amounts of fat and cholesterol. And they go straight to the butty, too. Can’t pass them up! And for the absolutely most tongue-twisting word I’ve come across in 5 weeks in NZ, the Maori name of a small (305 meters high) hill on the North Island, Taumatawhakatangihangakoauauotamateaturipukakapikmaungahoronukupokaiwhenuakitanatahu. But don’t ask how to pronounce it! Mounts Tongiriro & Ngaruhoe loom over Lake Taupo. Mt. Ruapehu (below) is the third active volcano overlooking the lake. Mt. Ruapehu, the highest mountain on New Zealand’s North Island. The multi-crested volcano holds snow on its peaks year round. Lake Taupo sits astride New Zealand’s most active geothermal area. That’s quite a bit of geothermal “activity” considering New Zealand is a land of earthquakes, volcanoes, geysers, boiling mud holes, and steaming pools and vents. In fact, Lake Taupo is the caldera of extinct Mt. Oruanui which, when it last erupted 26,500 years ago, was the largest volcanic eruption ever. One guide states, Oruanui made Krakatoa “look like a pimple.” In its last explosion in 180 AD, red skies resulting from the sheer volume of ejected volcanic ash were noted in both Rome and China. The Waikato River, NZ’s longest, flows from Lake Taupo (pronounced “toe-paw”). One of the first gorges the river winds through produces the magnificent Huka Falls, a stunnning turquoise 10 meter blue cascade that surges through the narrow chasm at a rate of 200,000 liters per second. Huka Falls flows through this narrow gorge at 200,000 liters of water per second. Looking down river through the narrow gorge forming the bottleneck creating Huka Falls. The brilliant color is a combination of glacier melt and sediment from pumice stone. We spent a day in Tongoriro National Park, New Zealand’s first national park, and named after the multi-coned volcano of the same name. Mt. Tongoriro (1967 m.) is an active volcano which most recently blasted volcanic spurts in 2012. Neighboring, single-coned Mt. Ngauruhoe (2297 m.) which erupted 45 times in the 20th century, erupted continuously in 1974-5 for 11 months. The volcano is most famous, however, as “Mt. Doom” in Kiwi native Peter Jackson’s Lord of the Rings movie trilogy. The tallest of this volcanic trio is Mt. Ruapehu (2797 m.), one of the world’s most active volcanoes. Ruapehu last burped in 1973, but is most infamous for its disastrous eruption on Christmas Eve, 1953, when the volcano blew, causing a massive lahar (volcanic mud flow) down its sides which swept away all in its path, including a railway bridge. Moments later a passenger train unable to stop, flew off the mountain side into a river gorge below, killing 153 holidaymakers on board. Testing our luck and the fates, we decided to ride the chair lift up Mt. Ruapehu and were rewarded with spectacular views. The lower level chair lift ascending Mt. Ruapehu. The mountain side below is strewn with scoria, or volcanic lava rock. The multiple volcanic cones of the mountain loom above. Impressive views of Mt. Doom in the foreground, and Mt. Tongoriro, behind. Yup — Mt. Ruapehu is still kicking — and steaming. I viewed this as a farewell venting from the volcano, just letting us know we were lucky that day! Back at Lake Taupo, we visited the Aratiatia hydroelectric dam and gorge. The dam holds back the mighty Waikato River to cull some of its hydro power into electricity for the region. Because of the sheer volume of water, the engineers open the sluice gates several times a day, creating brief but powerful waterfalls and surges, filling the rocky gorge below the dam with spectacular rapids for several minutes before closing the gates again. The sluice gates at the Aratitia Dam before opening. The rocky gorge beyond the dam. Note how the gorge looks impassable due to the numerous, tall rocks. About 10 minutes since the gates were opened, the rising water has come partway up the gorge. The gorge is nearly full, and the river’s surge is still flowing. The gorge is nearly filled…. About 15 minutes after the gates opened, the gorge has filled and begun to empty again. Twenty minutes later, the waters have almost entirely receded, only to start the cycle again in another hour or so. Boiling mud hole in Rotorua. Steam rising from a thermal pool. The Taupo region is filled with spectacular scenery and constant geothermal activity. The area is considered highly unstable because of this geothermal zone, but, so is the rest of the country. New Zealand takes these threats seriously: Visitor centers and restrooms in the Taupo area displayed posters of what to do if an eruption occurred. Museums in both Auckland and Wellington portrayed extensive exhibits educating people about the causes and effects of this underlying geothermal activity. Each had “interactive” exhibits demonstration the sights, sounds and feels of a volcanic eruption or an earthquake. Five years after two earthquakes struck in 6 months, Christchurch still has many empty lots where buildings once stood. The Anglican Cathedral remains boarded up as the city decides whether to try to save the structure or tear it down. The Catholic church has only recently decided to rebuild its cathedral. Shipping containers used to shore up an historical facade. On February 15 — just three hours after we left Christchurch — the already traumatized city suffered a 5.7 earthquake. Thankfully, no one died (although several were injured) primarily because the quake hit 15 km east of the city and on a beautiful Sunday when people were out of offices and homes. Nevertheless, the earthquake was powerful and violent enough to cause nearby cliffs to collapse and destroyed or damaged hundreds of homes. The constant threat and occurrences of such natural disasters obviously hasn’t caused most Kiwis to leave their homes nor prevented tourists such as ourselves from visiting the region. For us, the beauty far surpasses the risk — for now. But these quakes and shakes of the land remind us that natural beauty also comes with nature’s cost. 185 empty chairs stand in a demolished lot as a tribute to the people who died in the February, 2011 Christchurch earthquake. The memorial is temporary, even after five years, lending some understanding as to how difficult the rebuilding of the city has been after the 2010 and 2011 quakes. The Valentine’s Day 2016 earthquake, situated 15 km east of the city, did little damage to downtown Christchurch but destroyed sea cliffs and damaged hundreds of homes in a nearby suburb. New Zealand’s national bird, the Kiwi. Of the five extant species of this flightless bird, all are threatened to a degree and one species, the great white spotted kiwi, is severely endangered. Courtesy of kiwibird.org. New Zealand is facing a crisis: without swift, radical measures for predator control, many bird species will be drastically reduced if not eradicated. The culprits: all are invasive species introduced by human inhabitants. Rats, stoats, brush-tail possums (not to be confused with the North American opossum), weasels, feral cats and dogs are the primary culprits. Why there is such a problem with bird predation has a lot to do with how New Zealand has geologically and zoologically developed over the millennium, and with mankind itself. The land forms which now make up the North and South Islands of New Zealand separated from the super-large Austro-Asian continent over 80 million years ago, leaving the island geographically isolated from other land masses. There are no native land mammals to the islands other than bats. Thus, there are no large predators. New Zealand has no snakes and no poisonous animals. Maori hunters posed with a facsimile of a moa to give perspective on size. Birds were the most abundant fauna, with many avians becoming highly specialized. Two examples are the now extinct giant Moa, a super-large, ostrich like bird, and, the ground-dwelling kiwis, which range in size from a small turkey to a small hen. 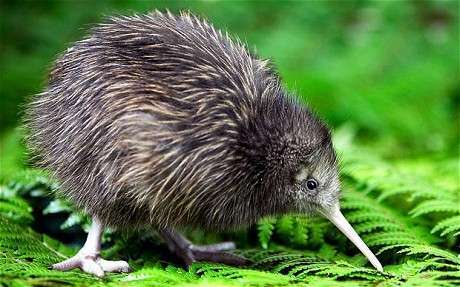 (The kiwi is also New Zealand’s national bird.) Over the millennia, both species became flightless with vestigial wings, most likely because they no longer had predators and therefore no longer needed flight as an escape defense. The first human inhabitants, the Maori, arrived on the islands about 700+ years ago; Anglo-Europeans about 250 years ago. Both brought non-native animals with them: the Maori brought rats and dogs, the Anglos introduced many more invasive species. Most of these non-native mammals were introduced with good but short-sighted intentions, but with present-day catastrophic results in this small island nation: with no larger animals as natural predators, stoats, rats, possums, ferrets and weasels are killing off New Zealand bird species at astonishing rates, some by eating eggs and chicks, the larger animals such as stoats and possums, killing adult birds. The NZ Dept. 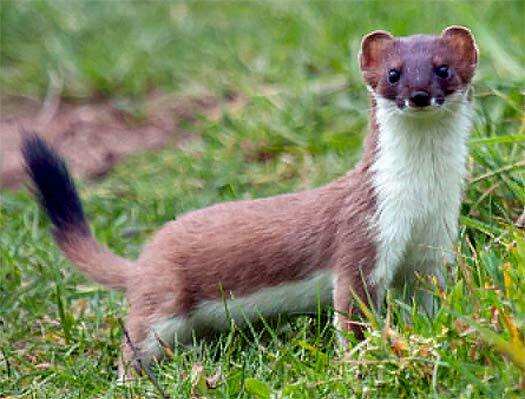 of Conservation has listed the stoat as the country’s Public Enemy #1 for bird predation. The brush-tail possum was introduced from its native Australia into NZ to establish a fur trade. The marsupial has wreaked havoc among the bird population, and is thus a close second to the stoat as the major threat to many bird species. Courtesy of csse.monash.edu.au. 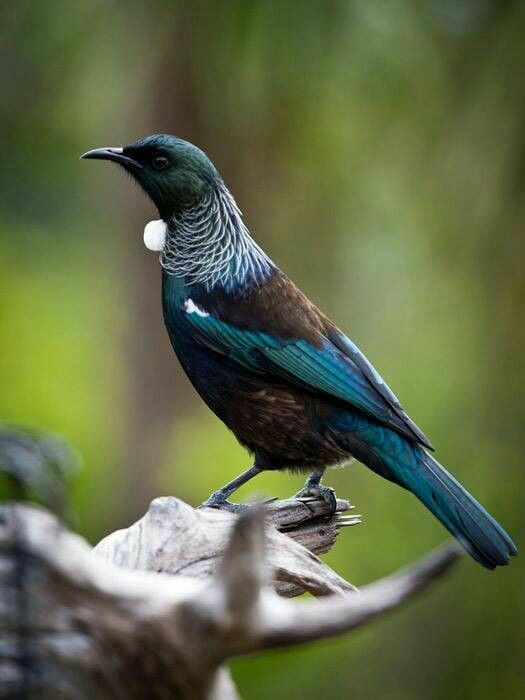 The Department of Conservation has embarked on a nation-wide campaign, “Battle for our Birds,” through predator control with intensified trapping as well as aerial applications of a biodegradable toxin of DOC lands, primarily in the lesser populated South Island. Additionally, many local governments and private conservation organizations have taken steps locally to reduce predator populations, especially rats, stoats and possums. Restore native trees and other vegetation to attract and sustain native birds. Where necessary, re-introduce native birds to the wild in protected areas, and if this is not possible, to establish sanctuaries. In this last instance, it may be necessary for sanctuaries to use intense mesh fencing or other means to prevent predator invasion, to continue to trap predators that do invade, and, to supplement the diet of birds within the sanctuaries. This last is especially true if the sanctuary is caring long-term for injured or older birds that cannot be re-introduced into the wild. We visited a few bird sanctuary areas in the Bay of Islands, the Otorohanga Kiwi House in the mid-North Island, and Zealandia in Wellington. All were different in their approach but had the common goal of eradicating the predators and saving New Zealand’s native bird populations. A colorful rendition of a feeding kiwi on the outskirts of Otorohanga, advertising their Kiwi House sanctuary for New Zealand birds, featuring, of course, the kiwi. Below is a photo array of some of New Zealand’s birds, many of whom are endangered or threatened in the wild. Enjoy! 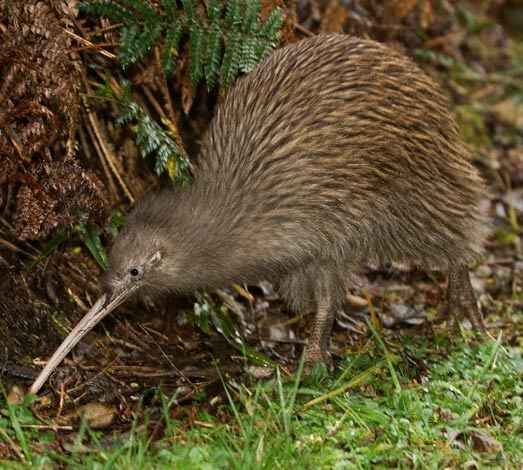 The great spotted kiwi is the largest of the five species of kiwi native only to NZ. The Kiwi House holds 2 of the 3 only to be held in captivity. The bird is the size of a small turkey, highly territorial and aggressive, but numbers no more than about 15,000 in the wild. The spotted great kiwi is considered highly vulnerable. Courtesy of Dept. of Conservation, NZ. The brown kiwi is the most common of the five species in NZ yet still considered vulnerable. Like all kiwi, it has poor eyesight but good hearing and an excellent sense of smell. Most unusually for birds, kiwi have external nostrils at the end of its long, curved beak. The beak is used to probe the ground for submerged insects, and the nostrils help locate the prey. The kaka is a large, forest-dwelling parrot indigenous to NZ. It is highly vulnerable to endangered in the wild. The kaka is an extremely smart bird whose intelligence is compared to that of the great apes. Photo by Carol Rolnick at Zealandia. The kea is a large, alpine parrot. Insatiably curious and “cheeky,” the kea likes to investigate backpacks and open car windows, often shredding packs and upholstery to bits with its sharp beak and talons. Photo by Carol Rolnick at the Kiwi House. A red-crested kakariki, a small parrot. Photo by Carol Rolnick at the Kiwi House. Terminator 2 is the fitting name of this rooster-sized bird. “T-2” and his mate, Puffin, are older and past breeding age and are now retired to the Zealandia sanctuary. Once thought to be extinct in the wild, takahe have been carefully managed so that a few small breeding groups can be found in the wild. Nevertheless, the takahe remain highly endangered. Photo by Carol Rolnick at Zealandia. A kereru, or native NZ pigeon, is far larger than the average pigeon. Photo by Carol Rolnick at the Kiwi House. The tui bird, a very colorful and talkative bird. Its most easily distinguished charactereistic is the white “ruff” or clutch of feathers at the throat. Courtesy of tuiscope.co.nz. Anothere tui bird. From pinterest.com. 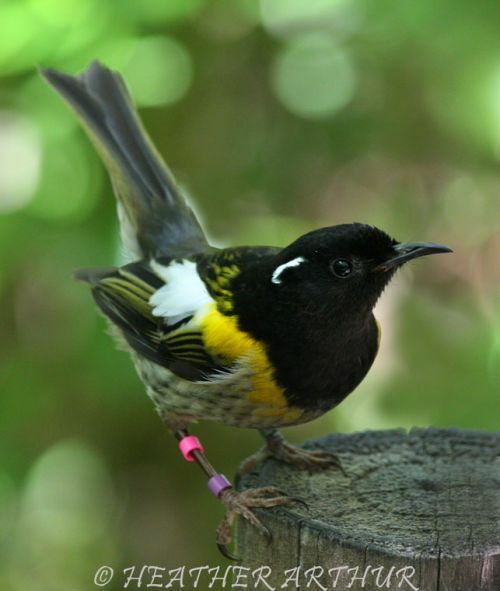 The hihi bird, characterized by its up-tilted tail. Courtesy of Heather Arthur from pinterest.com. That’s all folks — for now! Glow worm “threads” in Manawhitikau Cave, Waitomo, New Zealand. Photo by Spellbound. The only glow worm photo I was allowed to take before we descended into total darkness for our subterranean rafting through the cave. This photo gives a better idea of the gossamer thin threads spun by the glow worms. “You wouldn’t pay to come if we told you the caves were full of maggots so we call them ‘glow worms’,” said our guide. True enough. But in reality, the glowing strings from the larvae of the insect called arachnacampa luminosa are magnificent to behold, even if the larvae look just like slimy caterpillars. Our blessedly small group of eleven headed for Mangawhitikau cave, a privately owned cave, and at 7 km long the longest cave in New Zealand. (In New Zealand, whoever owns the surface of the land also holds the rights to anything below and in the earth beneath.) About 200 meters into our first foray into Mangawhitikau we stopped to marvel over the silken, luminescent strings of a few dozen glow worms. Later, our group of eleven sat spellbound in a raft as the guide towed us down a subterranean river, through a small cavern carpeted with blue-green points of luminescence. In the complete darkness (no headlamps, no cameras, no talking) it was easy to feel disembodied and imagine we floated through a strange, magical new universe. The only sound came from a waterfall gurgling loudly at the end of the underground river. Glow worms on cavern ceiling. Photo by Spellbound Tours. Glow worms on the cavern roof — a galaxy of “stars.” Photo by Spellbound. As mesmerizing as the glow worms were, we learned that these larvae – a halfway phase in the insect’s life – had a very basic purpose for their glow: survival. Their light is the product of a biochemical reaction called bioluminescence. The silk threads spun by the larvae hang like glowing, sticky strands of a curtain to catch other insects for food. Thus, the larvae act somewhat between an insect and a spider: the glowing strands use the light to attract insect prey, and the stickiness of the threads trap the hapless prey as a spider’s web. Yet, similar to other insects, the larvae eventually spin themselves into a pupae, from which they eventually emerge as adults to start the procreative process once again. We learned that while these glowing larvae can be found in dark corners of the forest, they thrive best in caves, and can be found in subterranean chambers throughout New Zealand. Rafting the glow worm cave. Photo by Spellbound. Photos as noted from Spellbound Glowworm & Cave Tours, Waitomo, New Zealand, www.glowworm.co.nz. We took a hugely different half-day rafting trip down the Tongariro River south of Lake Taupo (pronounced “toe-paw”: 3 hours, 14 km and 52 Class 3 rapids later we were exhausted but exhilarated. As you can see we got soaked, but it was great fun. Remarkably, the Tongariro is so pure you can drink directly from it — which we did. Lovely, fresh,, clear water! We highly recommend the group we went with, Rafting New Zealand. Getting ready to rock the Tongariro. We were a mixed group from the UK, Australia, US, Germany, Sweden, and, of course, New Zealanders. Michael & I are the two in front of the guide in the stern, just as the rapids swamped us. Near the end of the rapids, nearly 14 kilometers and 52 rapids under our belt. Good reason to celebrate! Photos courtesy of Rafting New Zealand, Turangi, NZ, www.rankers.co.nz. Auckland from the harbor: the Sky Tower soars over all other buildings. Three important tidbits of information from our driver pierced my jet lag fog as we shuttled into Auckland, New Zealand: (1) Auckland was founded by British so “everyone drove on the left side, so you Yanks watch out;” (2) Auckland was having a heat wave with unusually hot and humid weather (we later scoffed at their definition of humidity – and got royally sunburned in retribution); and, (3) Auckland sat on over 50 volcanoes, many of them active. Five wonderful but searing hot days later we left Auckland sunburned and alive despite constantly forgetting cars came at you from the right, and, with thanks to the still-quiet volcanoes. The entire country of New Zealand has about 4.5 million people, one third of whom live in Auckland. The city is beautiful, incredibly clean and well organized, with a compact central business district bracketed by miles of waterfront and quaint suburbs perched on volcanic hillsides. The sprawling city straddles the narrowest strip of New Zealand, spreading between Manukau Harbor & the Tasman Sea on the western side, and at the core of the city, the eastern Hauraki Gulf leading to the Pacific. Rangitoto Island, one of Auckland’s youngest volcanoes. It last erupted 650 years ago. Volcanologists predict if any of Auckland’s 50+ volcanoes will blow soon rather than later, it will be Rangitoto. This freighter was carrying over a dozen yachts topside. No way of knowing how many were below decks. A mixed-purpose structure built in a ship’s form. So very Kiwi! The central business district (CBD) is very walkable, and you get quite a workout from all the volcanic hills once headed away from the harbor. The sea-to-city theme is always with you, whether in a museum viewing Maori culture displays of wakas (canoes) or pakeha (white Anglo-Europeans) sailing craft, or huffing at the top of Mt. Eden or other high points, marveling at the spectacular city-on-the-water views. And then there’s the Fish Market, where we bought fixings for most of our dinners in Auckland. Smoked broadbill (a large swordfish) is exceptionally tasty. The Sky Tower glows with an evolving light show at night. Another must-see landmark is the Sky Tower, which soars above its neighbors in the Auckland sky line. The Tower is where the more intrepid go bungy jumping, while the less courageous go on a tethered sky walk around a wide “lip” of the tower – still way high up there — while the true cowards among us go up the elevator to enjoy the views… Kiwis pride themselves on having a multitude of “adventure sports,” and claim that bungy jumping began in New Zealand. Side bar: The original tethered jumping began as a rite of passage on Pentecost Island in Polynesian Vanuatu. A few centuries later, an extreme sports group in Oxford, UK, began the modern “sport” of bungy jumping. An enterprising Kiwi called A.J. Hackett saw a video by this group and developed his own harness rig to bungy jump off the Auckland Harbor Bridge. He subsequently bungeed off various high spots around the world, including the Eiffel Tower in Paris. He set up the first commercial bungy jumping business in Queenstown, NZ, which continues to claim (erroneously) to be the birthplace of bungy jumping. View from the Sky Tower: Far in the distance above the center is the Auckland Harbor Bridge, location of the first “commercial” bungy jump. The Maritime Museum carries on with the nautical theme, and it’s one of the best such museums I’ve ever experienced. Multiple buildings house various ingenious watercraft from early Polynesians to 19th-20th century vessels used by Anglo-Europeans. Partial replicas of famous racing yachts, among them Peter Blake’s controversial Black Magic, which swept the 1995 America’s Cup, are displayed; the reason for the partial displays, such as half the massive hull of Black Magic, is due to size and space considerations within the museum. One clever interactive exhibits coached you on how to design your own ocean-racing yacht. Michael tried his hand at racing yacht design. Warning signs kept flashing at him saying, “Your boat is very stable but isn’t going to win a race any time soon.” So he’d extend the sail height and narrow the hull, and kept getting told his boat wasn’t a winner, until…. Whoops. A bit top heavy. Capsized. In other words, don’t quit your day job. Auckland has much to offer, and, despite spending five days there, we only scratched the surface. I haven’t given justice to the city, as I’ve focused on a maritime theme, which is my interest and inclination. There is far more to see than I’ve written here. 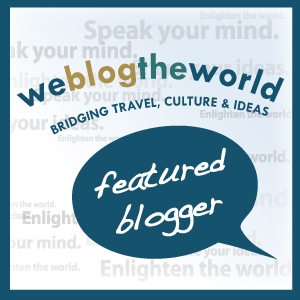 Hats off to Auckland – a fabulous introduction to New Zealand! Sunset from the Sky Tower. Ahhh…real Dutch cheese. We were in heaven. It turns out that after WWII, Dutch comprised a huge number of immigrants to New Zealand, so Dutch cheese and other products aren’t as out of place as you’d think. Lucky for us! Their average age is mid-70’s. The oldest performer is 96. One person is on a walker. One person is legally blind, a couple others are partially deaf. Some have had joint replacements. All of them have arthritis. Each has adopted a stage name, along the lines of “Boom Boom,” “Dollar and Two Cents,” “Mystic Diva,” and “Shake it up Sheila.” Their creed is that if any one of them dies during a performance, the others will “step over their mate” and keep right on dancing. The show, of course, must go on. And do they put on a show! They are the “Hipop-eration,” world-renowned hip hop dancers from Waiheke Island, Auckland, New Zealand. No lie. This energetic motley crew of mostly octogenarians has performed internationally, including at the 2013 International Hip Hop Competition in Las Vegas. Where and how did these dancing geriatrics get their beginning? And why hip hop? We first heard of this amazing troupe while on a wine tour of Waiheke Island. Our enthusiastic driver-guide and island native first waxed on about Waiheke’s reputation for boutique vineyards, then segued into such an intriguing story about “the World’s Oldest Dance Group” that we had to learn more. The Story: After surviving a devastating earthquake in Christchurch 2011, Billie Jordan found herself asking, “If I’d died in the quake, could I say I had really lived life to the fullest?” Her self-assessment emphatically concluded, ”No!” She relocated from Christchurch to Waiheke Island, on the eastern fringe of Auckland harbor basin, an idyllic, laid-back island full of aging hippies and wine-growers. Looking around for something meaningful to do, Billie noticed that many of the aging residents seemed to lack purpose and any form of activity, so she began the Wiaheke Island dance group with initial intentions of staging “flash mob” performances to promote fitness in seniors. Why hip hop? “Why not?” Billie retorts during a TED talk about Hipop-eration. Billie told the group, “Whether you believe it or like it or not, in 8 months you will be competing at the international hip hop competition.” Their local performances swiftly morphed into “the world’s oldest” hip hop dance group with fans and shows all over New Zealand. They did believe, and in less than a year from their flash mob beginnings, they did perform at the 2013 world hip hop championship in Las Vegas. The World’s Oldest Dance Group may not have won the overall competition, but they sure brought down the house. I doubt Vegas will ever be the same again. Hip hop certainly won’t! Hipop-eration website: www.hipop-eration.com. Click on links on their website for videos of performances & workouts. Videos are also available on YouTube. Just type in “World’s Oldest Dance Group” and select which ones to watch.